Mobius Clinic is the revolutionary app that’s proven to eliminate up to 90% of keyboarding and computer distraction from every patient visit. It turns the phone in your pocket into a remote control for your EMR. 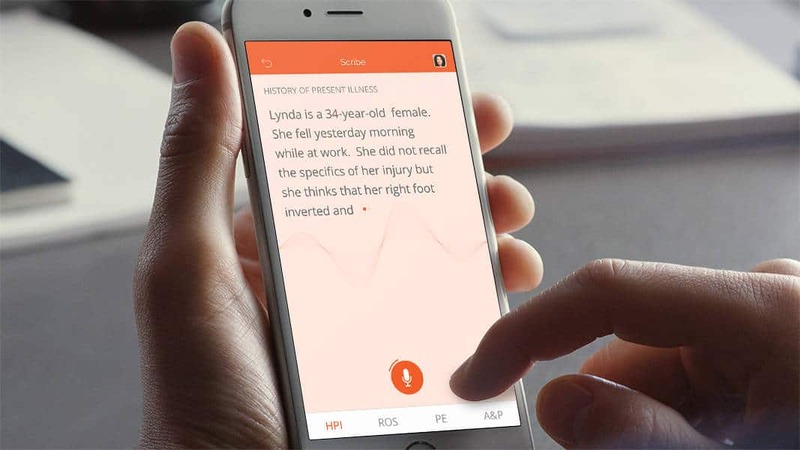 Our next-generation medical dictation system called “Scribe” instantly places your words into Athena without mistakes or omissions – from anywhere at any time! Altogether, Mobius reduces liability, increases insurance approval rates, and enables more stress-free interaction between providers and patients. Now you can input twice the data in half the time. Mobius impacts each and every phase of the patient visit. We offer tools for clinicians, administrators, and medical assistants alike. Once a patient is checked in, let Mobius completely streamline your intake process. 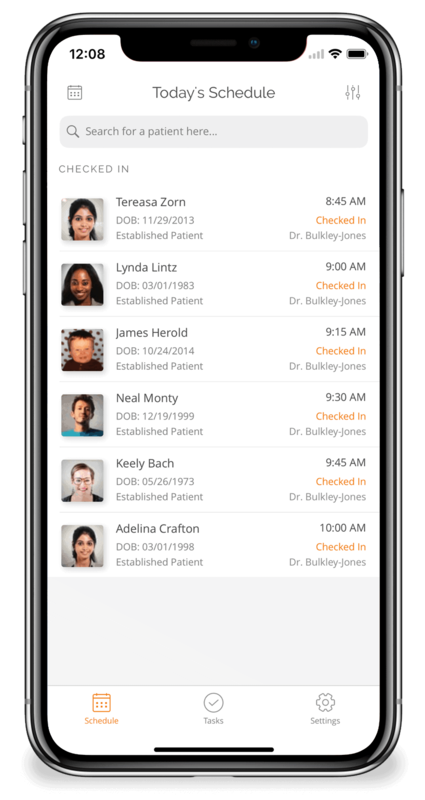 After check-in, Mobius automatically alerts the appropriate team members which patients are now in the waiting room, ready to be taken to an exam room. 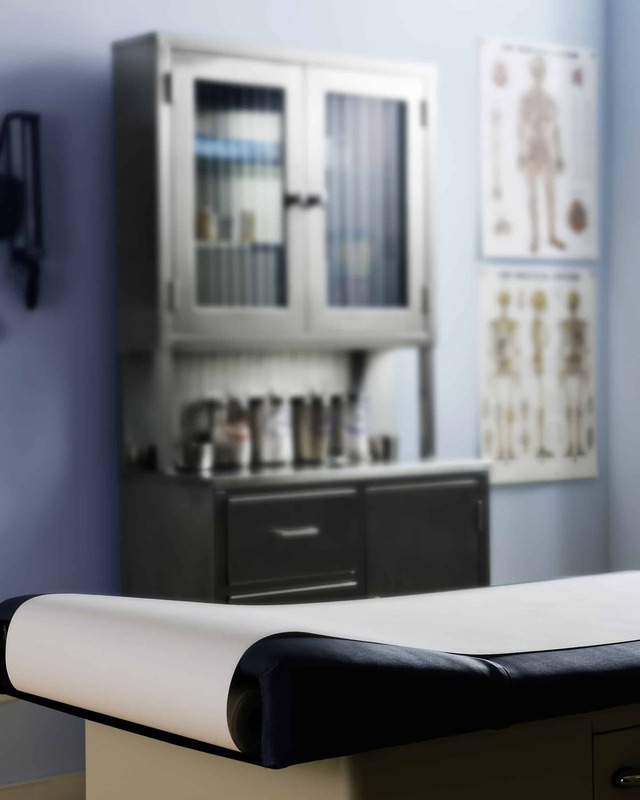 With one tap, place the patient in an exam room and update their location in your EMR. All collected vital signs, demographics, and medical history data - allergies, medications, etc. - are instantly sent to the patient chart. When you're ready, update the patient status and the provider will immediately know which patients are ready, and which exam room to go to next. Simply tap on a patient's profile avatar to take a photo for their chart. Quickly match a patient to an exam room and link all future actions to that location. Update the patient status from your mobile device and understand the state of your clinic in a single glance. Review and update Allergies, Medications, Medical Problems, Vaccines, Family History, Social History, Surgical History Past Medical History, and more. Data collected by physiological monitors instantly appear in the patient’s electronic chart including blood pressure, temperature, weight, pulse oximetry, & much more. See a quick summary of the patient's last visit complete with Chief Complaint, HPI, ROS, PE, A&P, Diagnoses, Orders, and Images. Confirm and update the patient's email address, mobile phone number and home phone number, preferred pharmacy, and more. Review CMS Quality Measures for each patient, and see which need immediate attention quickly. Mobius Clinic lets you complete 100% of the intake process without ever touching a computer. 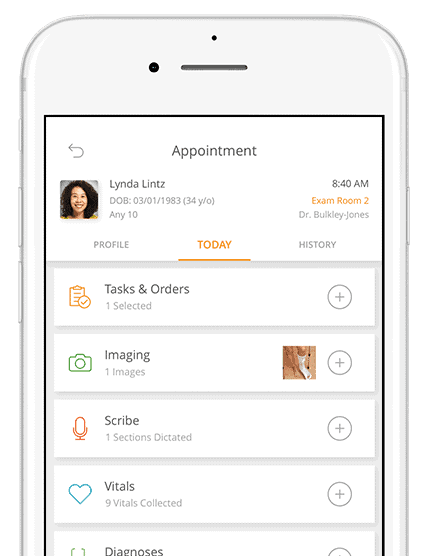 Mobius gives providers more face time with their patients. Mobius Clinic succinctly presents your patient's full chart on your mobile device, exactly when it's needed, and offers best-in-class tools to help you collect incredibly comprehensive documentation for each and every visit. Documentation and order entry are now a breeze, especially with our new support for templates in ROS, PE, & A&P. For example, creating an order - complete with diagnoses and ICD-10 codes - can be done in under 5 seconds, without disengaging from the patient. And as soon as an order is created, the appropriate staff are alerted and they can immediately begin working - and you haven't even left the exam room. Select an existing or favorited diagnoses or search for a new one. Also, you can quickly add ICD codes. From each patient's timeline, you can quickly access a summary of every past visit and case note. See how past visits relate to surgery dates, follow-ups, and more. Send orders to your EMR, ready for your staff to work on and complete. Double tapping on a team member's name immediately sends them a message with your location. Safely capture photos within the app, and know that the images are only stored in your EMR, never in your personal photo roll. Save images from any PACS directly to the patient's chart, and easily review or share them with the patient. Next-Generation Speech-to-Text is optimized for medical terminology. Additionally, it learns voice patterns for unparalleled accuracy. Scheduling a follow-up appointment can be completed in 3 taps without waiting for a single page to load. 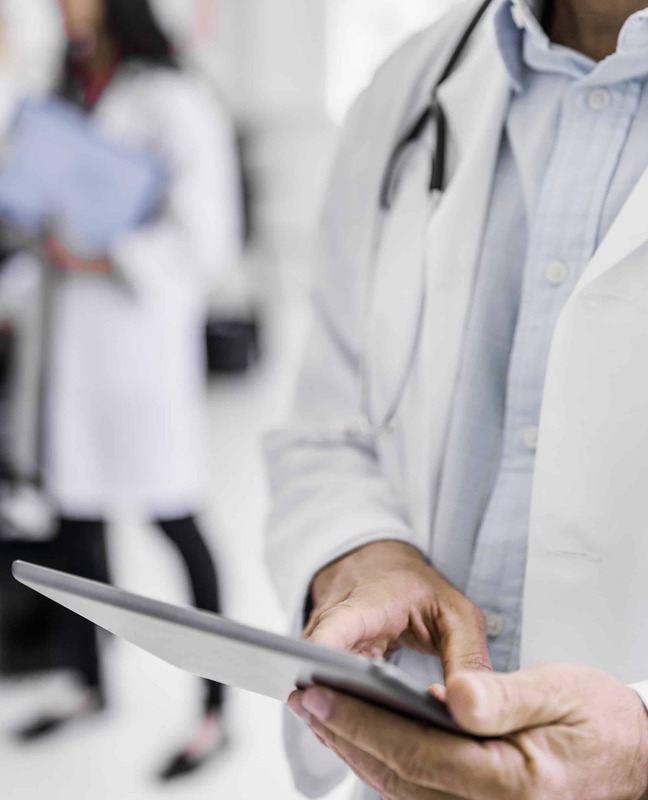 Easily send secure literature to your patients about their conditions. Customize your own links, attachments, and product recommendations. Mobius keeps your whole office in sync by tracking the “who, what, and where” of patients, staff, and doctors throughout the day. Your mobile device shows you what tasks are pending, to whom they’re assigned, where they’re scheduled, and when they’re complete. The result is increased staff efficiency and reduced wait-times for everyone. Forget typing for hours or waiting for transcriptions to be returned to you overnight. Scribe uses state-of-the-art deep learning technologies to quickly transcribe your voice directly into the fields of your patient charts. Mobius Scribe is a constantly up-to-date system that is designed and tailored for the intricacies of medical speech. Complex syndrome names or anatomical sites are a breeze for it to spell out for you. Mobius Scribe doesn't constrain you to your medical clinic or desktop computer. Scribe runs on your existing mobile device and offers always-available dictation from anywhere, at any time. Submit an authorization and consent form to AthenaHealth.